ISLAMABAD: Mohsin Goraya, a former President of Lahore Press Club and Editor Political Affairs Daily Express Lahore has joined Pakistan Television News as the Chief Editor. Goraya who is a senior journalist, analyst and columnist, started his career in the early 90s. 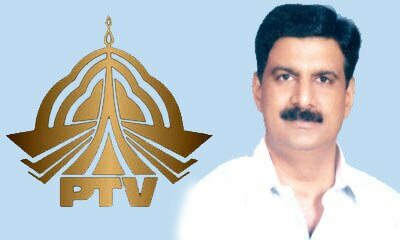 His appointment is part of restructuring of PTV News that was initiated by the current Managing Director Yousaf Baig Mirza. Goraya would oversee the newsroom and presumably exercise authority of Director News. In such a case the current Director News Muzammil Ahmed Khan would only have a minimal role with his post becoming ceremonial.